Below, you’ll see a list of the top 7 seated row machines of the moment. This list has been created with qualities like construction, design, efficiency, and utility in mind. Our extensive list features a wide range of brands; from the ever popular Diamondback and Marcy rowers to lesser-known brands like Stamina Body Trac and Sunny Health. Row machines are great for things like cardiovascular health, strength training, and other muscle building exercises. Seated row machines can be used by individuals at many different fitness levels ranging from intermediate to advanced. All in all, we hope to give you a wide style and product range to choose from. 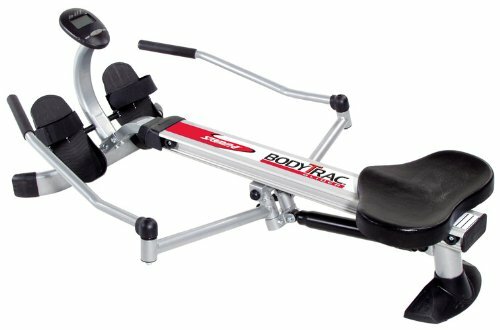 The Stamina Body Trac Glider is a great low-cost option that has most of the features that you’d probably want in a rower. It uses a unique full-range-of-motion stroke that closely mimics the feeling of rowing on water. It also has an electronic motor which is helpful for keeping you motivated. 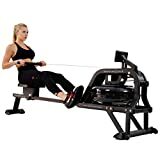 Best recommended for: This rower would be an ideal option for anyone looking for an inexpensive and utility-friendly seated row machine. With simple components, a compact design, and a very well-thought-out design, the K KiNGKANG seated row machine is a great way to get a totally immersive full-body workout. It’s really stable and doesn’t overload users with excessive features that they don’t need. 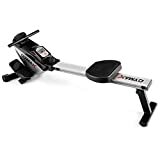 Best recommended for: This is a great seated row machine for users who want a fast and simple yet highly efficient rowing workout. If you are looking for a good mid-tier option, the Sunny Health Full Motion Rower may be a good choice. It has all of the features that you’ve gotten used to at the gym, with the convenience of being designed for in-home use. 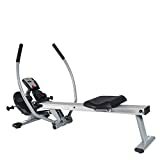 It features smooth and lightweight sliding rails, full-motion rowing for your whole body, a nice LCD monitor, and adjustable hydraulic resistance. Overall, this model is also got a nice low profile for stability. Best recommended for: This is a good option for you if you want something that is fairly priced with plenty of features. Could be a great addition to your pre-existing fitness routine. With 8 resistance settings, this rower helps you get the customizable workout you’re looking for. It also has many impressive features like a computer display panel, double mould injected seat for ultimate comfort, adjustable foot straps, super high-quality materials, and an efficient and utility-friendly design. Best recommended for: This is an ideal daily-use workout machine. It helps with cardio and health maintenance. If you want to take things up a notch, this Sunny Health rower may be the perfect solution. It’s got everything you could want and then some! Best recommended for: Smaller or medium sized users who want a highly-efficient top quality seated row machine. At last, we have reached number one! This seated row machine literally has it all. It’s of premium design, smooth, comfortable, and absolutely immaculate in just about every single way. Best recommended for: Users who want a premium high-quality machine with all of the features the could ever think of. 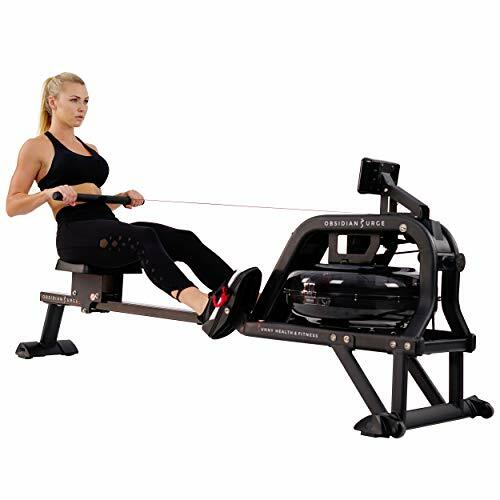 The Diamondback Fitness 910R Indoor Rower would be ideal for anyone who wants a durable premium indoor seated row machine. Still, all of the other machines on our list have fantastic user reviews and would make excellent choices depending on what you need. Let us know what you think; we welcome your feedback!